Online voting resulted in Talisman earning more than 40 percent of votes, far ahead of the three other finalists. Talisman combines bold, muscular lines true to Renault’s new brand identity with the unique, unprecedented driving experience afforded by Multi-Sense and 4Control technologies. Talisman, Renault’s elegant new saloon, features assertive, status-enhancing styling and, from whichever angle it is viewed, appears ready to pounce. Its exterior lines and cabin appointments all suggest travelling comfort and driving enjoyment. Laurens van den Acker was named winner of the festival’s Design Grand Prix. 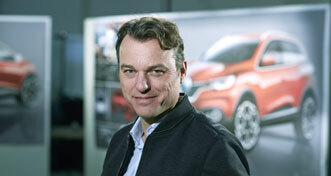 Renault’s Senior Vice-President, Corporate Design, took the prize after a particularly exciting year in terms of new models, with launches of New Espace, Kadjar, Talisman and New Mégane. How do you feel about the Design Grand Prix awarded to you by the International Automobile Festival? LVDA: We’re really proud of that! 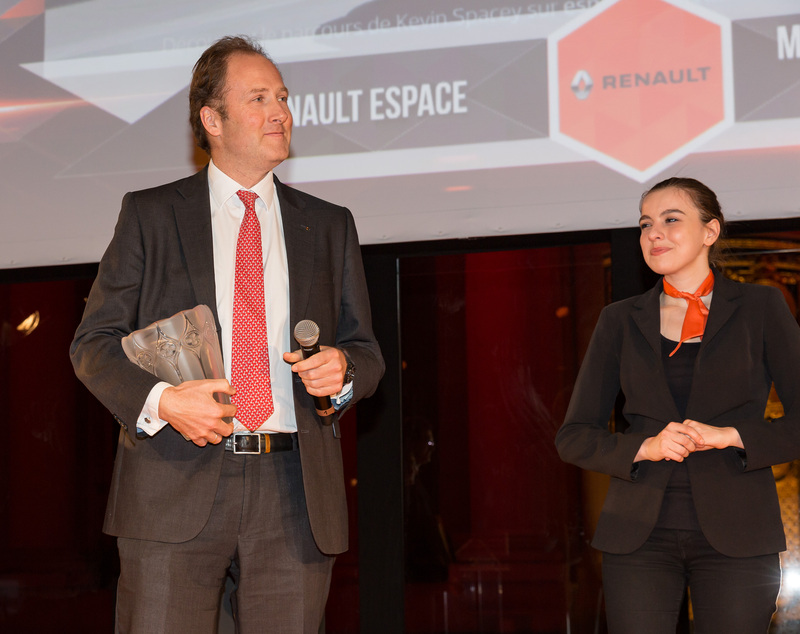 This award will encourage us to push ahead with our design strategy in 2016, under the Passion for Life baseline, which expresses the Renault design revival under way since 2012. I dedicate this award to the whole of the Design team, and to Renault’s Engineering and Product Planning teams, and to our management in general, who have backed us solidly from the outset of this adventure. With this distinctive new design identity, the Renault product plan has undergone a radical change over the last three years. Do you have a personal favourite among all the new models? LVDA: Well, I actually have two favourites. I’ll always have a soft spot for Clio, as the very first exponent of our new design strategy. And my second special mention goes to the forthcoming Scénic, which stays true to the pioneering spirit of the first generation while taking a giant step forward out into the future. I’m really looking forward to the launch of this model in Geneva. 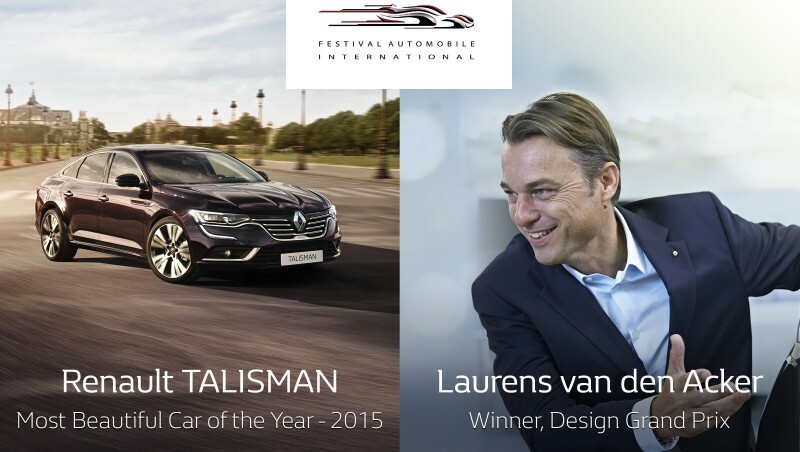 In the light of its award-winning performance at the International Automobile Festival, which particular design aspect of Talisman are you most proud of? LVDA: I’m fond of saying that Talisman’s primary USP is the sense of pride it inspires. That has a lot to do with the highly characteristic front end, and highly original light signature, expressing presence and distinction. With Talisman we pulled out all the stops in order to fulfil our ambitions in this segment, so we’re highly optimistic and undaunted by the competition. 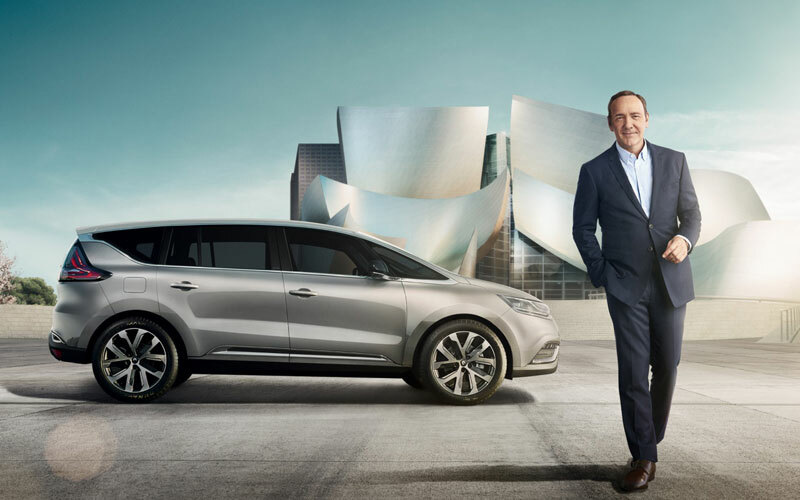 Last but not least, Renault came first in the Festival’s Advertising Film category with its ‘Make Your Time Great’ campaign for New Espace, which stars Kevin Spacey showing how to master time. The concept car exhibition at the festival (Hôtel des Invalides, Paris, from 27 to 31 January 2016) includes Alaskan, Renault’s large pick-up.